The Corporation of Massey Hall and Roy Thomson Hall is a charitable, not-for-profit organization that depends on the generous contributions of individuals, corporations and foundations to provide a broad range of a programming, education and community outreach programs. There are many ways to give. However you choose to support the Halls – and at whatever level – your generosity is truly appreciated. Every gift counts! Gifts made by credit card and/or cheques represent the simplest and easiest gifts you make to the Corporation. We accept American Express, MasterCard, and Visa, and gifts can also be made through personal cheques made payable to Roy Thomson Hall. Donations can also be made online or by calling 416-593-4891. Donations of publicly-traded stock, mutual funds, bonds and GICs are not subject to capital gains tax, making donated stock and securities the most tax-effective way to make a gift to the Corporation. Your donation must be a transfer of the stock or security itself, not the cash proceeds of a sale of the security. Please call Ashley D’Andrea at 416-593-0040 to make a transfer from an investment account. A donation to Massey Hall and Roy Thomson Hall is a wonderful and thoughtful way to honour, memorialize or celebrate a family member of friend. A gift in honour or in memory of a loved one can be made as a general donation in support of the Halls, or specifically to support our educational program, Share the Music. These gifts can be made online or by calling 416-593-9276. Many corporations encourage their employees to donate annually to the United Way, and these donations can be allocated to Massey Hall and Roy Thomson Hall. This allows employees to fulfill their United Way donation but direct it to the Halls in general, to our educational program Share the Music, or to the Marquee Club, allowing the employee to become a Marquee Club member. Marquee Club members pay an annual fee and a significant portion of the fee is a donation to the Halls for which a charitable tax receipt is issued. The balance of the annual fee is $375 and goes toward membership benefits. 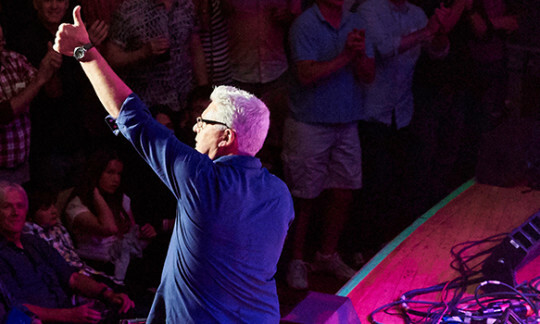 Please note that if you choose to join the Marquee Club through a donation to the United Way, you must pay the $375 benefit amount directly to Massey Hall and Roy Thomson Hall, regardless of your donation amount (i.e. even if you donate $1,750 to the United Way and allocate it to the Marquee Club, you must pay an additional $375 to the Halls to cover the benefits of membership). Due to CRA regulations, you cannot receive a tax receipt for the value of the benefits you receive as a member of the Marquee Club. 1) Decide which level of membership you would like: Marquee Club or Marquee Circle. The total price of the Marquee Club is $1,750 and a $1,375 tax receipt is issued. The total price of Marquee Circle is $3,000 and a $2,625 tax receipt is issued. 2) Make the donation that corresponds to the tax receipt amount for the membership level of your choice ($1,375 for Marquee Club, $2,625 for Marquee Circle). 3) Contact the Membership Associate at 416-593-2648 to pay the balance of your Marquee membership fee. 4) Your charitable tax receipt, regardless of the amount, will be sent to you directly from the United Way. For more information, contact the Membership Associate at 416-593-2648. What better way to be remembered than through the arts? Through a current endowment gift or a planned (deferred) gift, you can help to enrich the cultural life of our city and broader community for current and future generations. 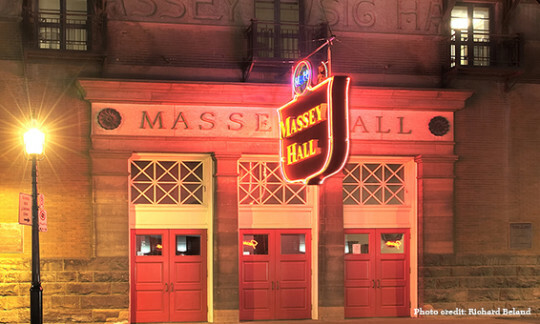 The Massey Hall and Roy Thomson Hall Foundation is a charitable organization separate from the Corporation of Massey Hall and Roy Thomson Hall. The Foundation is responsible for managing the Corporation’s endowment and exists to receive, hold, and administer gifts, providing annual support to the programs of Massey Hall and Roy Thomson Hall. The Foundation’s Endowment Fund holds a pool of financial assets to be held for a period of 10 years or more, the earnings from which are given annually to the Corporation and are used to support new and existing programs. Gifts of $5,000 and more can be made to the Foundation through one of the existing funds. Creating a new named fund is possible with donations of $50,000 or more. Please consider an endowment donation to the Massey Hall and Roy Thomson Hall Foundation that is well-aligned with your personal interests, such as supporting our educational programs or our diversified music programming. A gift to the Foundation may be made in the form of cash or securities. Planned gifts provide the opportunity for deferring an immediate gift and can provide opportunity to increase your income, earn valuable income tax deductions, and reduce your estate taxes, all while philanthropically supporting the mission of our Halls. Planned gifts include bequests, charitable gift annuities, and charitable remainder trusts. 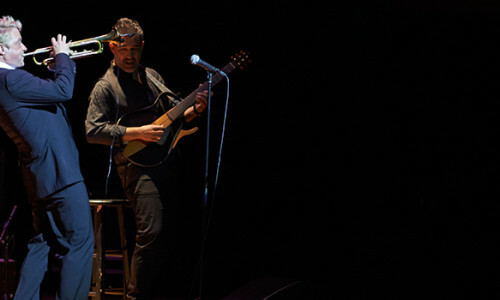 1) To the Corporation of Massey Hall and Roy Thomson Hall. 2) To the Roy Thomson Hall and Massey Hall Foundation. If you are including a planned gift to either the Corporation or the Foundation in your will, you can direct your gift toward a particular fund or program (please check with us to ensure your gift can be used as intended). Please contact the Development Associate at 416-593-4891 for more information on Endowment and/or Planned Gifts. The Corporation of Massey Hall and Roy Thomson Hall is a registered charitable organization – Revenue Canada Charitable Registration No. 11922 8633 RR 0001. The Roy Thomson Hall and Massey Hall Foundation is a registered charitable organization – Revenue Canada Charitable Registration No. 11925 3029 RR 0002. Charitable tax receipts are issued for all donations to the Corporation and the Foundation for over $20. For more information please contact the Development Associate at 416-593-4891. Learn more about the history of one of the most storied buildings in the country.